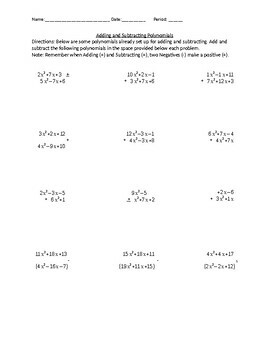 This is a practice sheet for addition and subtraction of polynomials. 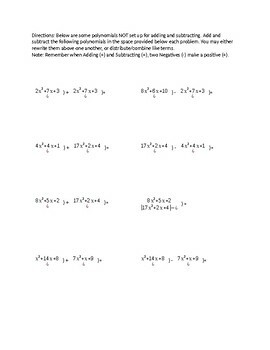 This sheet contains two pages of practice problems with 8 problems on each page, 16 total. On page 1, the problems are setup vertically for addition and subtraction. On page 2, the problems are setup horizontally.